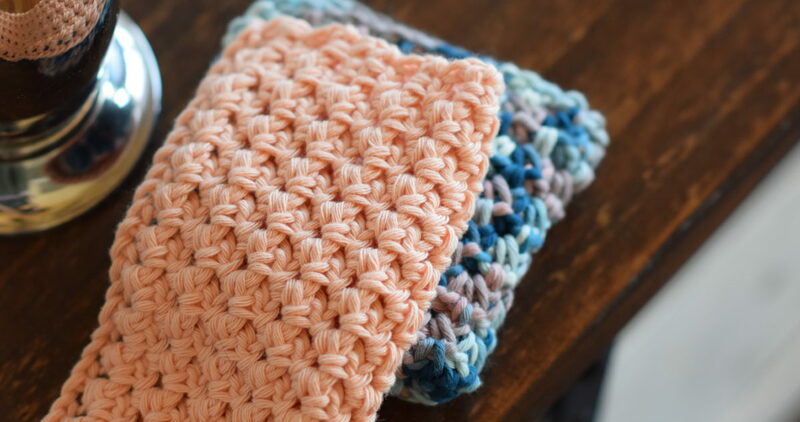 Washcloths are the perfect warm weather project in my opinion since they are light, small and easy to tote around. They also give some quick gratification since they work up so fast. 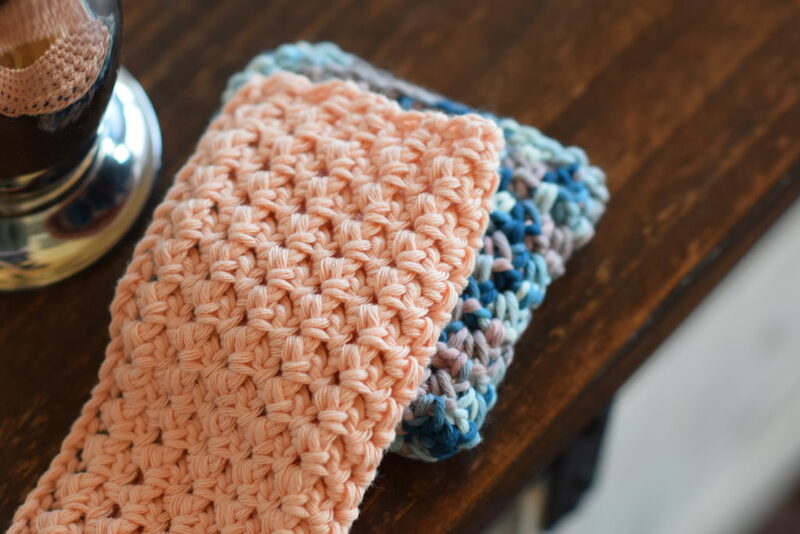 You might remember my Farmhouse Washcloths as well as the Pretty Lil’ Dishcloths, and let me tell you, they have been put to use! They are completely worn looking at this point, so I wanted to make some new ones. 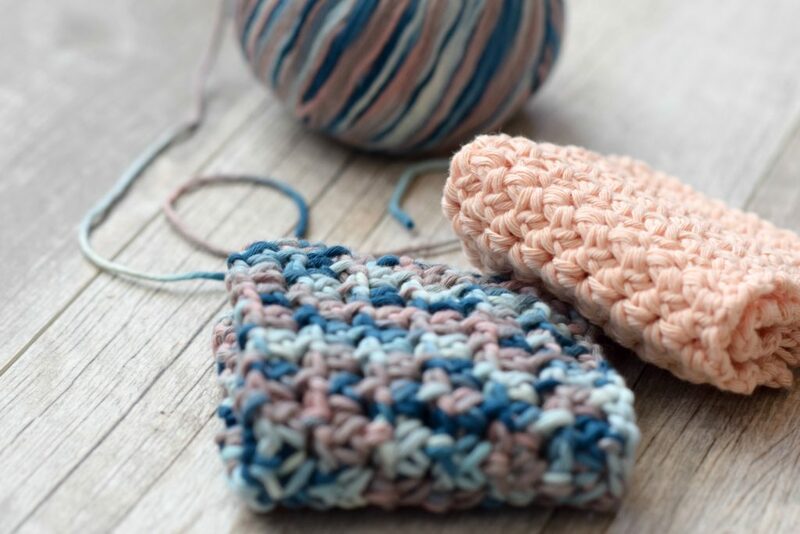 These “Little Clusters Washcloths” are so simple to make! You can easily make them any size just by starting with a different chain length than I did. For this washcloth, I chained 34 stitches. 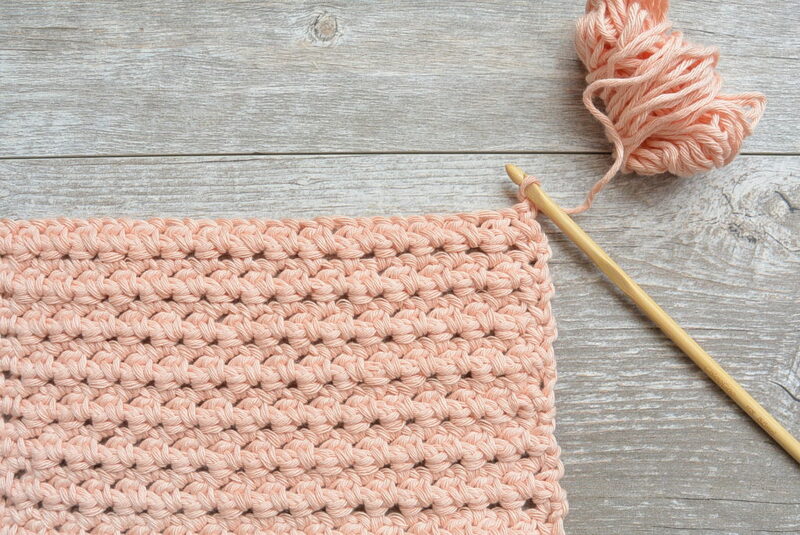 I do suggest practicing the stitch on a small swatch before trying the entire dishcloth. 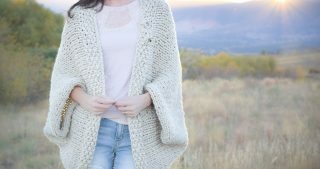 While it uses easy stitches, there are decreases and chains through the pattern that if missed will through you off. In fact, I was trying to learn this stitch from an online tutorial myself and it was so wonky! 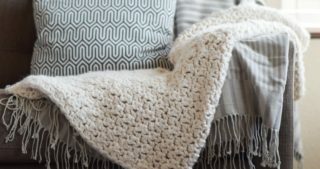 The pattern was incorrect or I was missing something and my crocheting was going sideways rather than straight. I modified it so that it worked out perfectly for me. 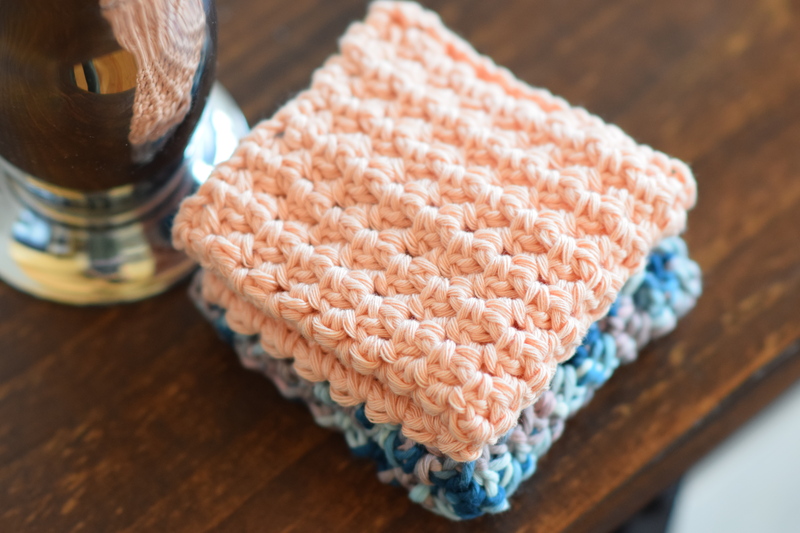 To make this washcloth, you are going to chain 34 (or make your chain as long as you’d like for the width of your washcloth using a multiple of 2) and follow the stitch pattern in my blog post CLICK HERE! 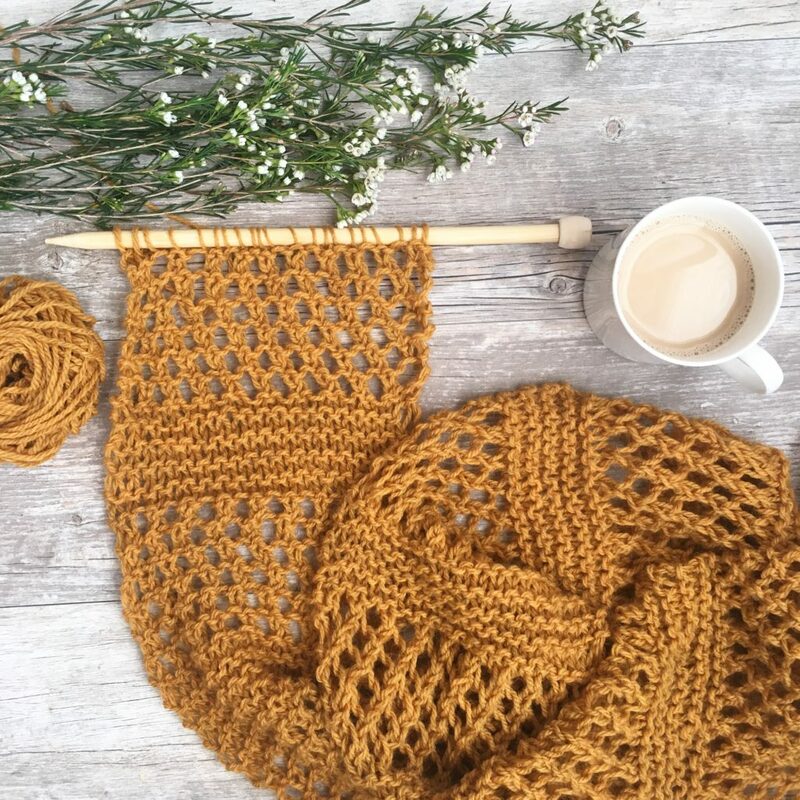 Follow the pattern (click here for pattern and tutorial ) and crochet until your reach the desired length. 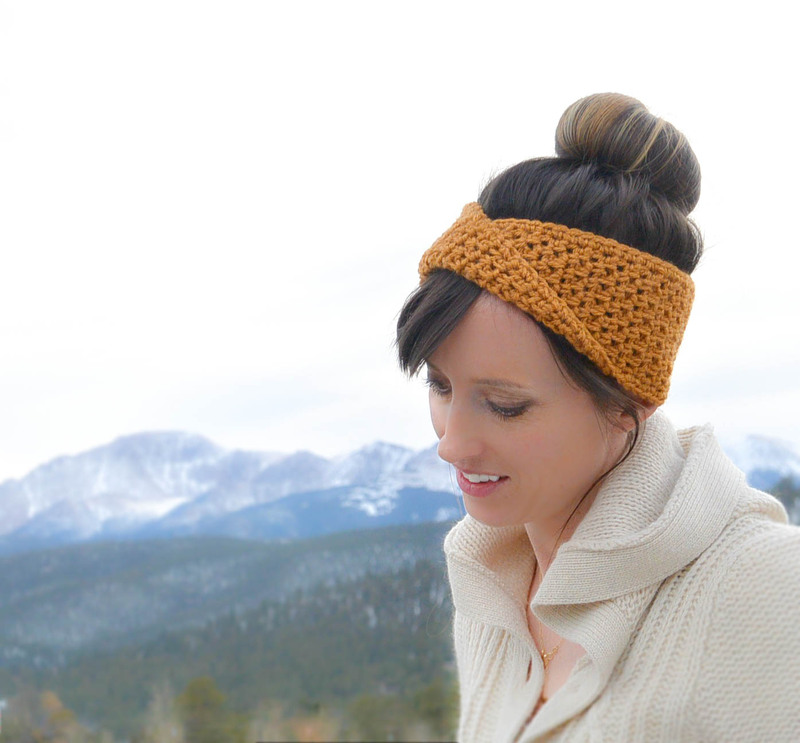 Once you’re done, tie off and weave in the ends! I hope that you enjoy your washcloths! 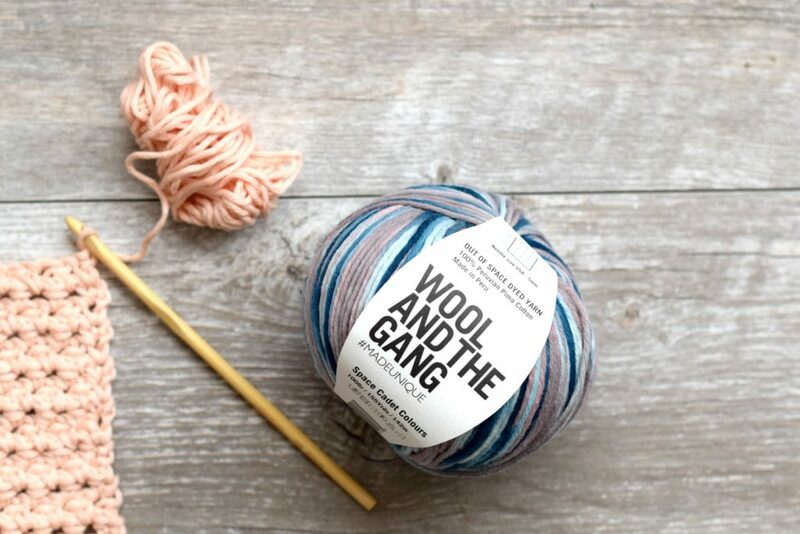 Thank you to Wool & The Gang for providing the yarn for this pattern! Beautiful as always, Thanks Jessica!!! I made some of these wash cloths from your pattern. They came out perfectly and the little clusters stitch is classy all by itself! Hi Pauline! What a pleasure to read your comment and yes, I got a chuckle! 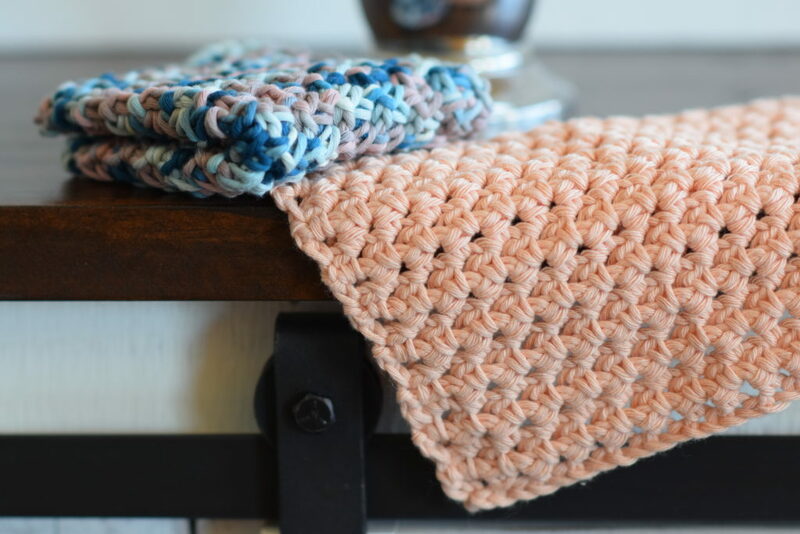 I’d much rather crochet a dishcloth than wash dishes any day! haha! I have great friends in Eindhoven, Holland! Did I spell that right? They lived near us in America for a long time and we still keep in touch. 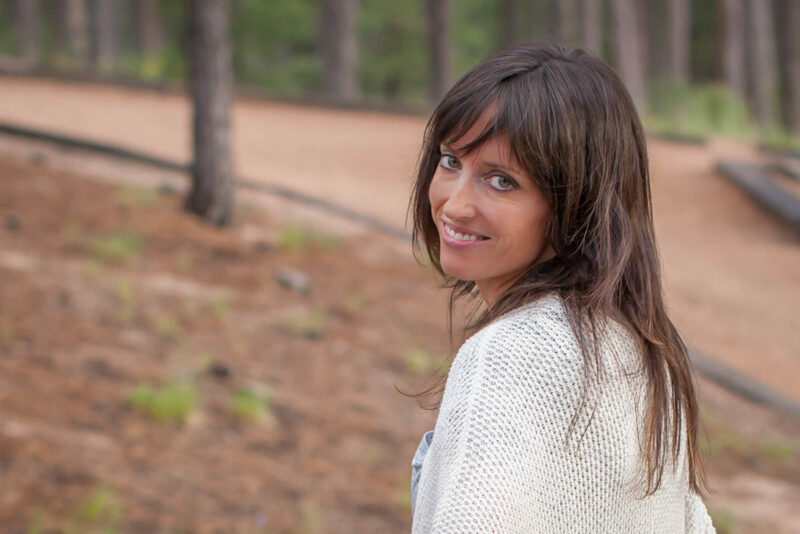 Great to hear from you and thanks so much for your super kind words! No more dishes! Cute pattern! 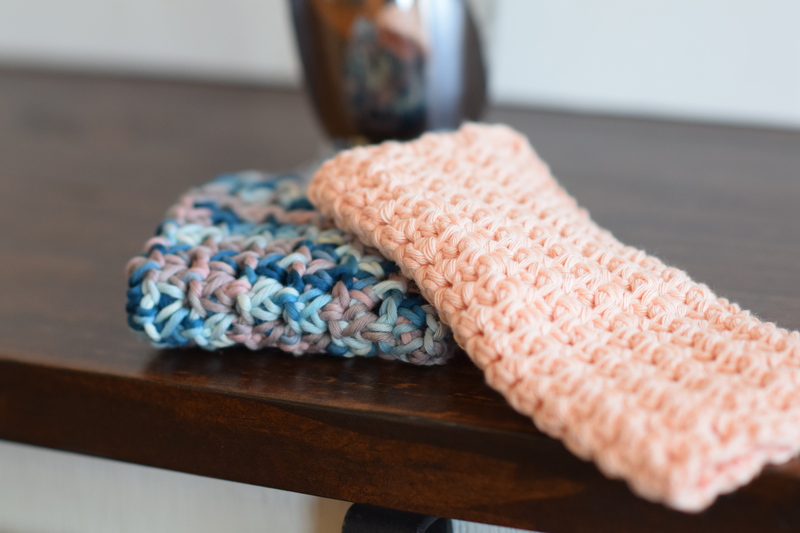 I don’t crochet much more than Jan washcloths-love them! 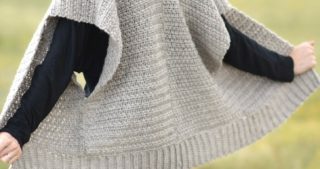 Wonder if you’ve ever crouched a washcloth with knit T-shirt material (recycling old t-s) as the “yarn”?